The casting process is interesting to me. The idea that a molten metal could flush out an object and replace it with a doppelganger of itself is curious and compelling. I have exercised this idea with a few different items: Hershey’s Kisses, aluminum beer cans and candles. 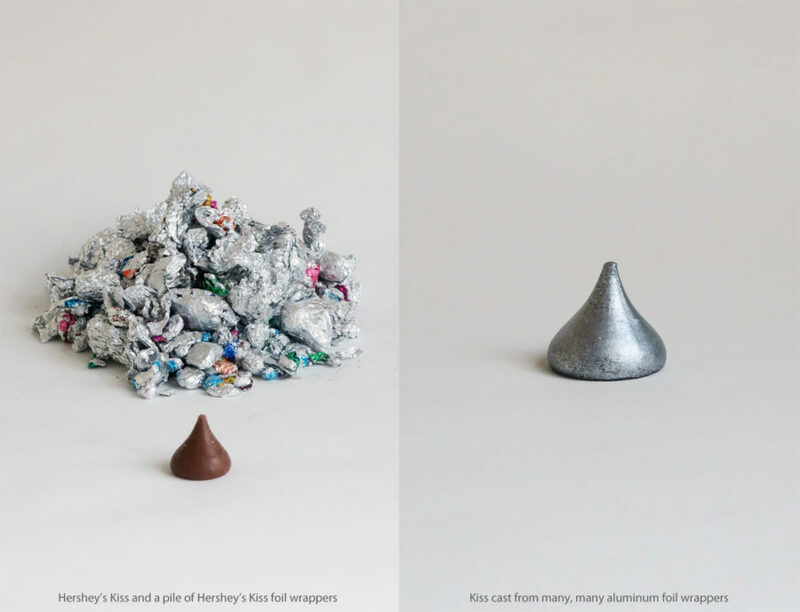 I am still finishing the latter two, but I can show you the Hershey’s Kiss piece, which I have entitled 1000 Kisses, which is approximately the number of aluminum wrappers that had to be melted down to cast this little piece.